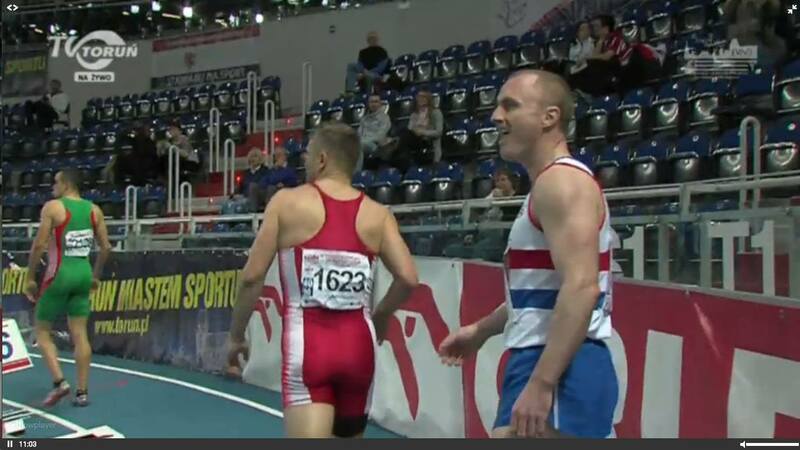 Mike Coogan was selected to represent Great Britain & NI this week in the European Masters Indoor Track & Field Championships. 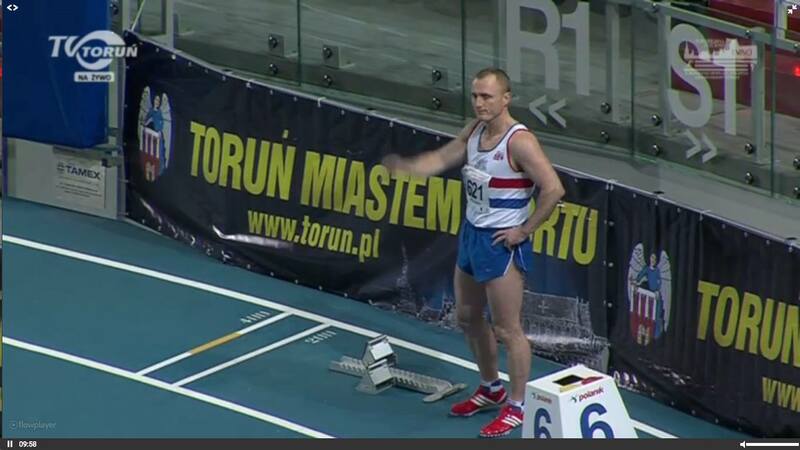 The event took place in Torun, Poland from 23rd-28th March. 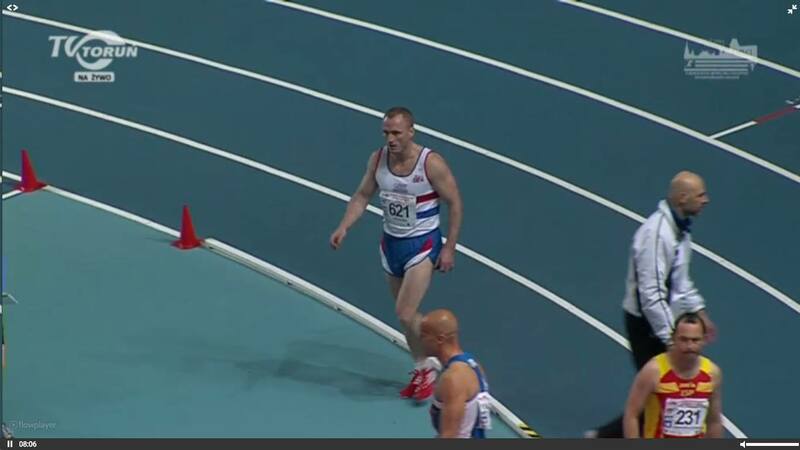 Mike won Silver in both the 200m and 400m in the M40 Category at the British Championships a few weeks ago, showing in his current form he could contest for medals here. Mike took to the track in M40 400m heats on Monday 23rd, comfortably qualifying for the final finishing 2nd in his heat with 54.34. Mike was back on the track the day after for the final against the best in Europe. 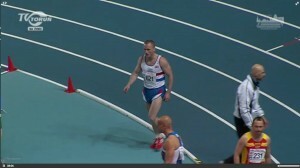 Mike had a fantastic run with a very strong finish to take the GOLD medal and a new PB of 52.35. 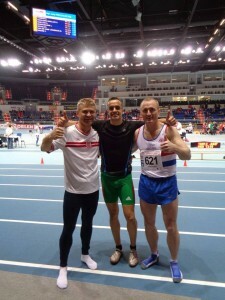 A fantastic achievement making him the European Champion! 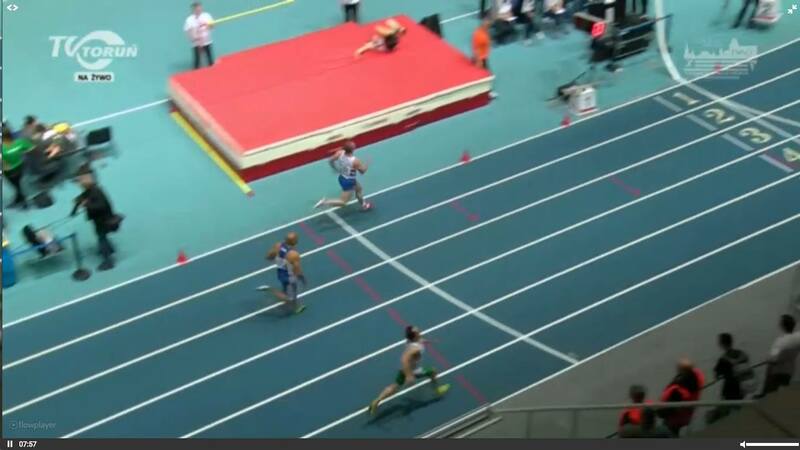 That wasn’t it for Mike, he was also entered to run the 200m a few days later with his heat on Thursday 26th. 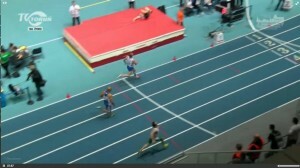 Mike won his heat in a solid run with 23.97 putting him in to the semi-finals. 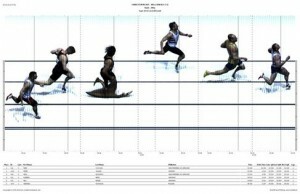 Mike’s semi-final took place on Friday afternoon (27th March) again Mike ran brilliantly to finish 2nd with a new PB of 23.56 which was enough to put him in to the final later the same day. Mike fought hard in the final running a solid 23.70 to take the Bronze medal! What a fantastic week of racing for Mike, taking Gold and Bronze medals back home! Well done!